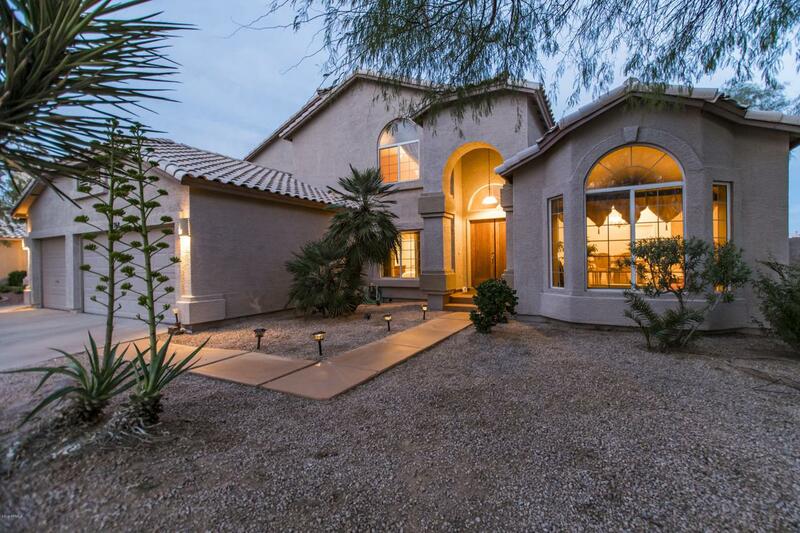 Nestled on a private golf course lot this home is incredible! Outback, you'll love the views, low maintenance landscaping and sparkling diving pool! Inside you'll find an open and bright floor plan with downstairs guest suite, complete with walk-in closet, den plus full bath. Den could easily be used as a bedroom. Upstairs you'll find 3 HUGE bedrooms. The master bedroom is a true retreat with a private balcony, a great place to sit and enjoy the views! Popular floor plan with new plank flooring! Large living rooms, great for entertaining. Community amenities include tennis, parks, basketball and more! Great location!